Grace thought she had it all. 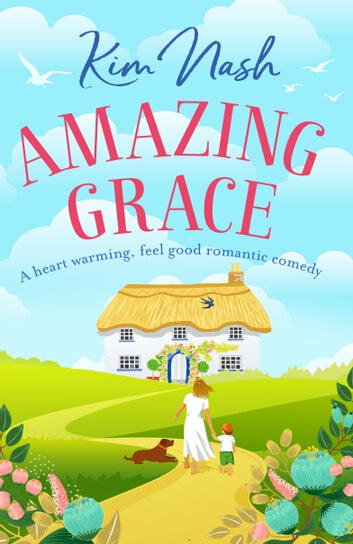 Living in the beautiful village of Little Ollington, along with head teacher husband Mark and gorgeous son, Archie, she devoted herself to being the perfect mum and the perfect wife, her little family giving her everything she ever wanted. Until that fateful day when she walked in on Mark kissing his secretary - and her perfect life fell apart. Grace’s life needs a shake up – fast. So when gorgeous gardener Vinnie turns up on her doorstep, his twinkling eyes suggesting that he might be interested in more than just her conifers, she might just have found the answer to her prayers. But as Grace falls deeper for Vinnie, ten-year-old Archie fears that his mum finding love means she’ll never reconcile with the dad he loves. So when ex-husband Mark begs her for another chance, telling her he’s changed from the man that broke her heart, Grace finds herself with an impossible dilemma. Should she take back Mark and reunite the family that Archie loves? Or risk it all for a new chance of happiness? A funny, feel good romance about finding your own path and changing your life for the better – readers of Cathy Bramley, Jill Mansell and Josie Silver will love this uplifting read. Heartfelt story that I couldn't put down. Some cynics would mock the concept of afterlife but this story is so heart warming it gets you hooked in the first few chapters. I was given this an ARC of this novel from Hera Books in exchange for an honest review. All thoughts and opinions of this novel are my own. Let me start of with this, I HATE rom-coms. There are only some rom-coms I like, and that is because they focus on other things besides the romance between the characters, like the movie “Fifty First Dates” does. But this novel was such a great story that I couldn’t help not loving it with all of my heart. The synopsis: Grace is a newly single mom who went through an awful divorce with her husband after she found him cheating. Trying to raise her ten-year-old son on her own, while holding a job and trying to have some kind of life outside of that is difficult, and even more so with the fact that her mother is not around to help her. But when she meets Vinnie, Grace starts to realize that she is more than capable of doing everything she needs to, and also is more than allowed to have things for herself as well. This novel explores family, love, and self-acceptance. It focuses more on Grace’s growth as a woman than anything else, which I loved the most about this novel. It wasn’t a “knight in shining armor fixes everything” kind of romantic novel, but was more of a “I need to learn to love myself and here is also the knight in shining armor that is helping me understand that” kind of romantic novel. The entire time I sat and read this novel, I had either tears falling down my face or felt my heart swell with happiness for Grace. I felt like I understood Grace in a lot of ways, having had a hard time with loving myself for who I am in the past as well. The family and friendship dynamics within this story were absolutely wonderful as well. Grace’s relationships with everyone were real and raw, and everyone felt like they were real people. Grace’s relationship with her son Archie was incredibly adorable, and how she loves each person with everything in her body is just so heartwarming and real to me, as I tend to do that with the people I care about. Each person that Grace interacted with felt different from the next, which made the story more enjoyable as each person was distinctive. While I despise rom-coms with a heated passion, for their unrealistic expectations that they set for all of us who aspire for romance and being swept off our feet, this story felt more grounded and possible, with the fact that the romance was almost secondary to the story of Grace’s transformation. It was organic, and steeped in need to better oneself as opposed to for someone else, which I think is the best way to get the reader. It teaches them the lesson of “loving yourself before you can love another” and that once that happens, everything else falls into place. I truly enjoyed myself in this story, and feel like I’ve found a new appreciation for the relationship I’m in, because I realized that Vinnie is exactly like my boyfriend, and I couldn’t feel happier with that notion. 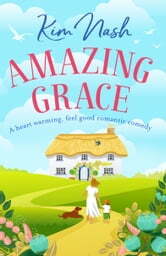 5 Star review of Amazing Grace by Kim Nash What an absolute gem Amazing Grace is. I was also shocked to learn that this was the author Kim Nash’s debut book. This book is a journey of self discovery, of digging deep and finding out what you are truly made of. Grace is devastated to find out that her husband Mark has been having an affair and now finds herself a single mum to son Archie. She has taken a battering to her pride and yet is determined to move on with her life. The descriptive writing of Grace’s blind dates had me laughing so much it hurt. I loved the relationship she has with her son Archie and I was over the moon when Vinnie, a landscape gardener expressed his interest in Grace. Her conversations with her deceased mother reminded me of ones I have with my own so that was bittersweet. I thoroughly enjoyed Kim Nash’s writing style and Little Ollington sounds like a beautiful place to live. A heart warming story that although sad at times, made me smile and laugh. I will certainly be looking at future books by Kim Nash.